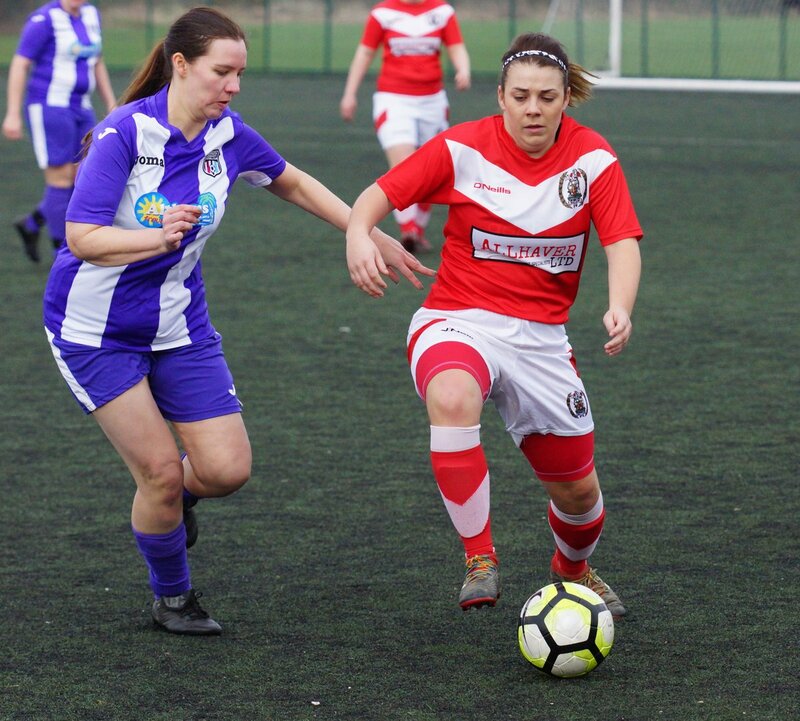 New leaders are Keynsham Town Development, New London Lionesses, Plymouth Argyle Reserves and Stockport County, while Notts County ended Northampton Town’s unbeaten run and Headstone Manor caused a big cup upset. 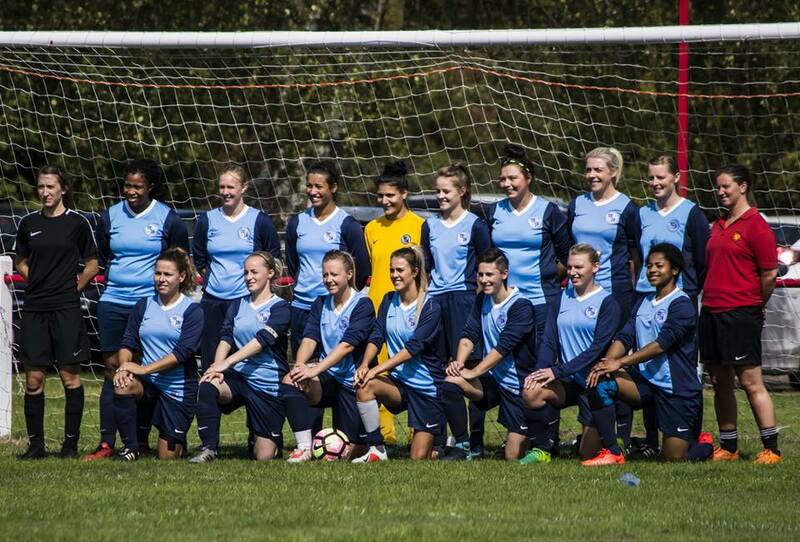 PREMIER – Cambridge City are 11 points clear after beating Acle United 4-0 in the top of the table clash in which Sarah Mosley, Isabella Simmons and Carla Penny all came off the bench to score. Wymondham Town’s Laura Nicholls cancelled out Cassie Steward’s double for Peterborough Northern Star in a 2-2 tie in after PNS were down to 10 players with Georgia Coulson suffering a serious injury. Bedford beat Harlow Town 2-0 with substitute Joanne Makin sealing the win, while Haringey Borough clinched a first win of the sesason, 3-2 over AFC Dunstable. ONE – St Ives Town have a seven-point lead following a 3-0 defeat of Stevenage Reserves, Newmarket Town needed goals by subs Laura Bailey and Sarah O’Rourke to see off Hertford Town 3-1. Basement side Bishops Storford were beaten 5-3 despite a Brogan McHale hat-trick, Sally Appleton and Victoria Kinsman getting two apiece for Hutton. Histon and King’s Lynn Town drew 1-1, as did Lawford with Hatfield Peverel despite Harriet Young’s dismissal. PREMIER – Woodlands were held 2-2 by Peterborough United’s whose Katie Mayfield got her second goal in last minute. Oughtibridge WMSC were 4-2 victors over winless Eastwood whose Reegan Sellars was shown a red card, while Kettering Town put four goals past Mansfield Town. 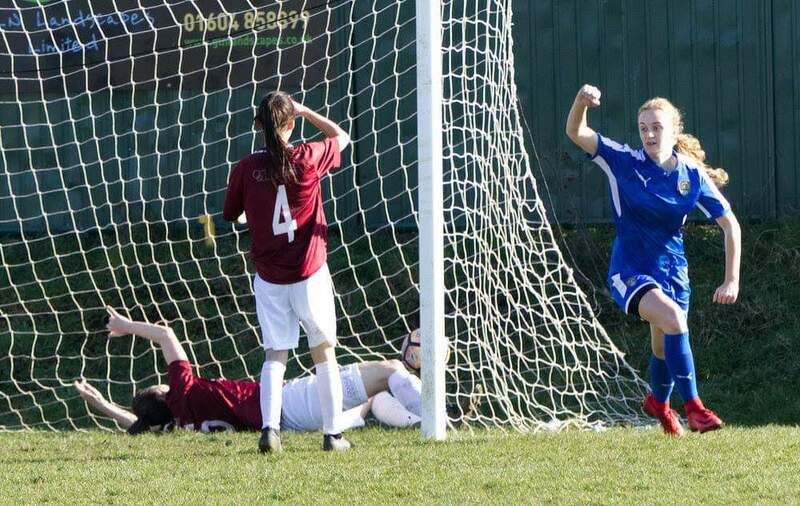 1 NORTH – Sleaford Town ended Lincoln Moorlands-Railway’s title hopes, Laura Jones making it 2-1. 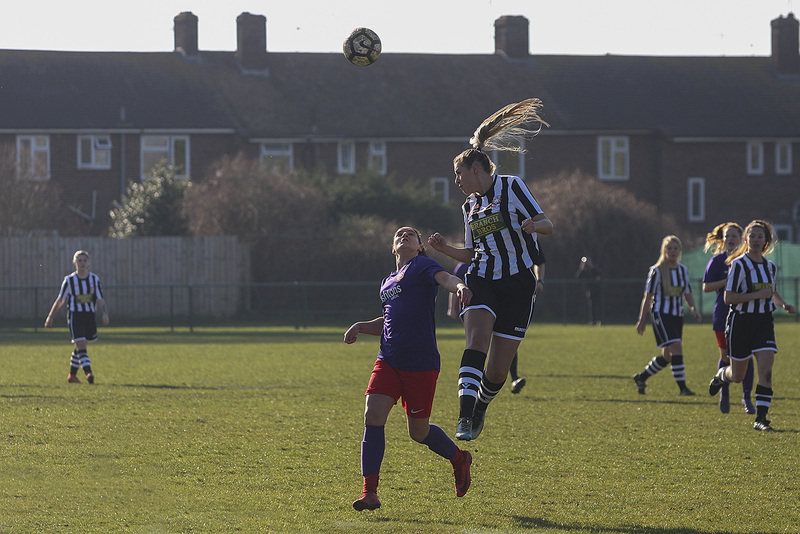 Grimsby Borough leapfrogged Hykeham Town into third with a Laura Flecknor effort. Ilkeston Town’s Jade Eaglefield netted two of their four at Calverton Miners Welfare, Arnold Town won 3-0 at Retford United. 1 SOUTH – Northampton Town suffered a first loss 3-1 at home to Notts County, Oadby & Wigston made up some ground with a 5-1 result at Thrapston Town that included a brace from the bench by Lucy Phillips-Poole. CUP Q/F – League leaders Leicester City WFC Development eliminated Loughborough Students 6-1. PLATE Q/F – Rise Park’s Jemma Meakin got both goals as they needed extra-time to go through at lower division Lutterworth Athletic. PREMIER – Kasey Kelm notched a couple as AFC Phoenix kept up their title bid with a 3-1 defeat of QPR Girls Development. Whyteleafe are second after a narrow 3-2 win over bottom of the table Parkwood Rangers. Eastbourne Town had Molly Hill and Kelsey Birchmore dismissed in a goalless game against Fulham. 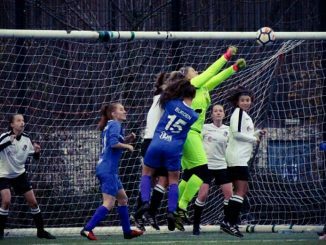 GREATER LONDON PREMIER – New London Lionesses are new leaders after winning 4-0 at Watford Development, Hackney having held Ashford Town (Middlesex) 2-2. Godalming Town hit Colne Valley for six and Regents Park Rangers recorded a first win 4-1 over Victoire. JOHN GREENACRE MEMORIAL TROPHY 3RD RD – Headstone Manor spanned two divisions to knockout hosts Spurs Development 2-0, Jemma Forey and Sinead Walsh the scorers. 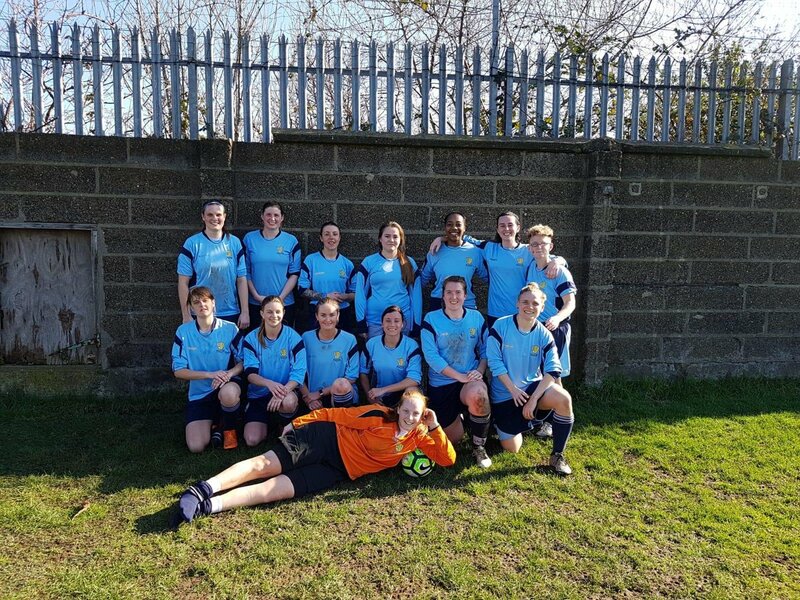 SOUTH EAST COUNTIES PREMIER – Crawley Wasps Reserves came from behind to win the top of the table clash at Saltdean United, where Ellie Russell and Ellie Livingstone got their goals. Ashford’s hopes were effectively ended as Emily Lyons’s goals gave Phoenix Sports a 2-1 victory. 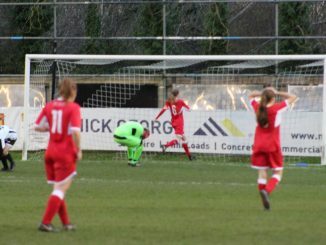 Millie Colbran had a five-goal haul as Worthing sank Lewes Foundation 7-1, Newhaven’s Chloe Winchester scored twice in a 5-0 scoreline at Bexhill United and Eastbourne LFC beat Meridian 4-1 with the aid on a Shantelle Omar double. PREMIER – Hartlepool United’s Justine Robinson hit a hat-trick in a 4-1 result at Rotherham United that sent her side second. Farsley Celtic got all three goals in the game with Wallsend BC. 1 NORTH – Redcar Town are closing in on the title after a 3-2 success at Washington, Norton & Stockton Ancients Reserves won the goalfest with Prudhoe Town 7-5 as Ellie Hamilton and Libby Waller netted two each. LEAGUE CUP Q/Fs – Durham Cestria dismissed Consett 6-0 as Chloe Ryan weighed in with a three-minute brace. York City progressed 2-1 at Altofts, as did Ossett United at home to Sheffield Wednesday. PREMIER – Stockport County are back on top having won 3-2 at Merseyrail while Fleetwood Town Wrens downed second-placed Tranmere Rovers 3-1. FC United Of Manchester kept up their chase 1-0 at Mossley Hill Athletic, Wigan Athletic scored four without reply at Manchester Stingers. 1 NORTH – Bury’s 2-1 result over Penwortham Town put them second as Carlisle United and Blackpool drew 2-2. Blackburn CSC hit hosts Leigh RMI 6-1. 1 SOUTH – Chester contained leaders Liverpool Feds Reserves 1-1, Curzon Ashton closed the gap with a 7-1 success at Didbury. Northwich Vixens pipped Altrincham to the points 2-1 and Stockport County Blues beat Wythenshawe Amateurs 2-0. ARGYLE SPORTS CUP 1ST RD – Penrith won 3-1 on penalties after a 3-3 tie at Cammell Laird, Sir Tom Finney edged Warrington Wolverines 3-2. ARGYLE SPORTS PLATE 1ST RD – Workington Reds went through 3-2 in a shoot-out with Accrington after sharing four goals, Hayley Bracken and Hannah Geen scoring for the eventual winners. PREMIER – AFC Bournemouth went clear at the top when seven up at Warsash Wasps, where sub Aimee-Rose Collier struck twice. Ascot United and Woodley United drew a blank, Winchester City Flyers nicked a 3-2 win at New Milton Town and Newbury’s 3-0 result over Barton Rovers was their second three-pointer of the campaign. ONE – An Emma Lawrence effort saw Basingstoke Town edge Alton 1-0, Wargrave’s Millie Bilcliff registered a first-half hat-trick in the 4-1 defeat of Shanklin. LEAGUE CUP S/Fs – Southampton FC Ladies brushed aside Wycombe Wanderers 6-0 to reach the final, Ellie Chaffe with half the tally. Oxford City will face them for the trophy following a 2-1 score at Abingdon United. PREMIER – Keynsham Town Development’s Rhianna Ben-Carew scored twice in a 3-0 result at Marine Academy Plymouth 0-3 which saw them regain to spot. Exeter City maintained their bid 4-1 at Bishops Lydeard where Sophie Gillies got a treble. Middlezoy finished 2-1 in front against Ilminster Town and Forest Green Rovers got three goals and three points at Downend Flyers. 1 EASTERN – Leaders Wootton Bassett Town put seven past FC Chippenham with three by Hayley Huckin, Frampton Rangers stayed in pursuit winning 5-1 at AEK Boco. Oldland Abbotonians 1-4 Swindon Spitfires Jasmine Hindon 2, Trowbridge Town 0-2 Almondsbury subs Jessica Bessell and Sophie Cooper scoring. 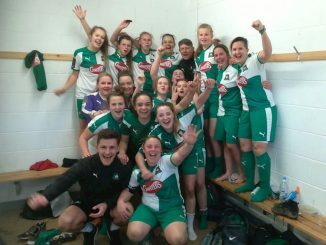 1 WESTERN – Plymouth Argyle Reserves are again in pole position after netting a dozen at Exeter & Tedburn Rangers, where Gabi Alphous and Nicola Champion got four apiece. Alphington won 3-1 at Feniton to go fourth, Sophie-Louise Simpson contributing twice. PREMIER – Sutton Coldfield Town have a four-point lead thanks to the only goal at Coventry Sphinx, Leafield Athletic are second on goal-difference after netting eight at Worcester United. Redditch United edged a nine-goal thriller at Goldenhill Wanderers, Crusaders sent Stockingford AA Pavilion home beaten 4-1 and Knowle ended goaless with Lye Town. 1 NORTH – Leek Town are four points from being champions following a walkover against Wyrley. Second-placed Shifnal Town had a narrow 1-0 win at Florence, Port Vale picked up a first victory 2-1 at Shrewsury Town and AFC Telford United saw off Sandwell by a similar scoreline. 1 SOUTH – Leamington battled to a first win 4-3 over Solihull Sporting, Kingfisher came out 7-3 on top against Rugby Town, while Stourbridge defeated hosts Droitwich Spa 5-1. 1 SOUTH CUP S/F – Sedgley & Gornal United knocked out divisional leaders Solihull United by the odd goal in five.